Why rebuild that old stock engine? Upgrade, and replace it with an all-new S&SV80 engine and get a lot more power! 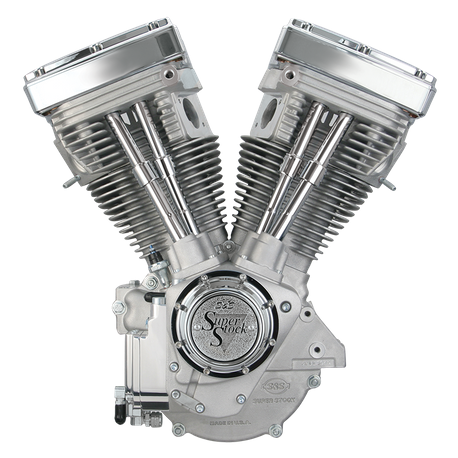 1984-’99 Harley-Davidson® big twin chassis and custom frames designed for Evolution® big twin engines. Save time – Replacement is faster than rebuilding. Save Money – Fuel and ignition systems not included, use the carburetor, air cleaner, and aftermarket ignition you may already have. EFI compatible - Calibration required (must use aftermarket module or add-on tuner). Not legal for sale or use on CA or EPA pollution controlled vehicles.